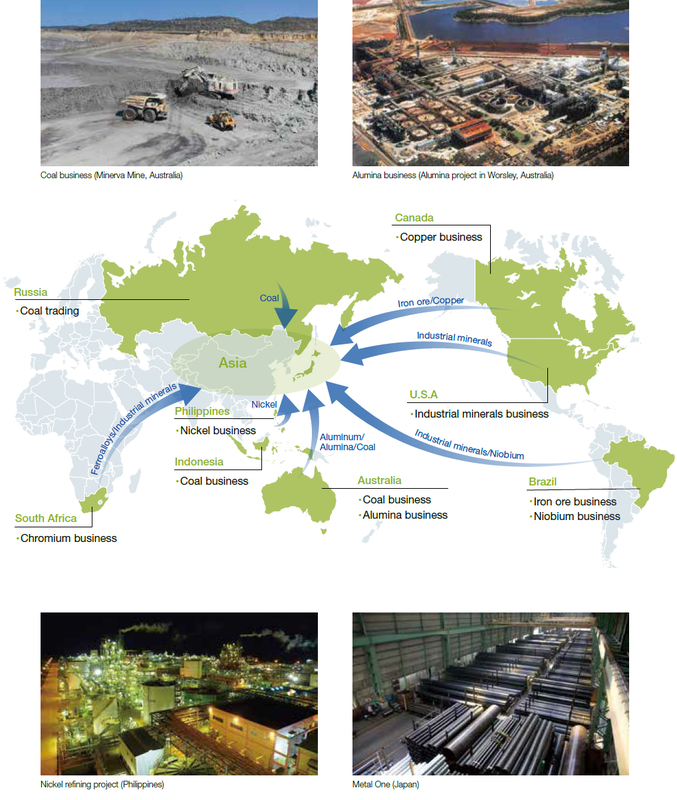 Metals and mineral resources are indispensable for driving development and growth in countries around the world. In particular, their stable procurement is a national issue for Japan, which lacks natural resources, and emerging countries undergoing rapid economic growth. Throughout its long history, the Metals & Mineral Resources Division has continued to fulfill its duty of supplying metals and mineral resources to these countries. Increase in demand for resources and steel, due to the recovery of the global economy and market conditions, have resulted in a steady improvement in our performance. However, two significant issues must be addressed over the next three years to sustain this growth—establishing a stable earnings foundation resilient to the volatile market conditions unique to the resources industry, and maintaining growth while implementing measures contributing to a low-carbon society, which is the current global demand. Therefore, we are implementing the following three strategies for growth. First, we are strengthening trade by introducing new functions. In order to expand trade with emerging countries while maintaining and expanding commercial rights for Japan, we will secure earnings by further solidifying our ties with customers and meeting their diverse needs. Simultaneously, we will expand our dealings in products which contribute to reducing environmental impact, such as low-sulfur coal and raw materials for next-generation batteries. Second, we are improving our upstream businesses. In addition to further cost reductions in existing projects, we will also restructure our portfolio through replacement and acquisition of profitable assets, in order to construct an asset portfolio that will generate earnings even in a market downturn. For example, we are rebalancing our thermal coal-inclined portfolio by replacing them with coking coal, which encourages higher sustained growth. Third, we are developing new midstream and downstream businesses resilient to market conditions. One such initiative is our 3D metal printer business launched in the year ended March 2018, with its manufacturing plant scheduled to begin full-scale operations in autumn 2018. We will also continue to seek out new business areas which answer to social needs and environmental changes, such as recovery and recycling of resources. The demand for lightweight and durable high-grade steel products is increasing dramatically due to industrial development in emerging countries. The automotive industry, in particular, is adopting these products as materials for vehicle bodies and parts. 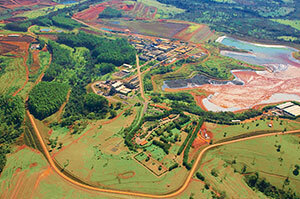 Seeing this opportunity, Sojitz along with major steel companies invested in Brazilian Companhia Brasileira de Metalurgia e Mineração (hereinafter, “CBMM”) in 2011. With CBMM being the top global producer of niobium, a rare metal necessary for producing high-grade steel, this has enabled us to provide a stable supply of niobium to steel makers in Japan. We have also establish a joint agreement on the development of anode materials using Niobium Titanium Oxide with CBMM and Toshiba Infrastructure Systems & Solutions Corporation in June 2018. Our aim is to enable mass-production of next-generation lithium-ion batteries characterized by high-energy density and ultra-rapid recharging capability required for electric automobiles. By providing Japan with stable niobium supply, we will not only expand our business operations, but also achieve sustainable growth by contributing to environmental impact reduction. 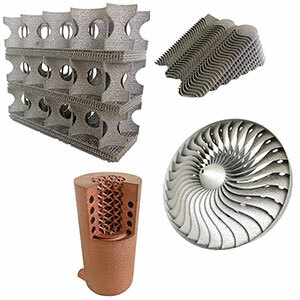 In recent years, there has been a growing focus on Additive Manufacturing (hereinafter, “AM”), a technology which makes use of 3D printers to laminate metal powders, and market demand is rapidly growing for high-precision utility products created using AM in fields such as aerospace and medical care. In 2017, Sojitz and Koiwai Co., Ltd. established JAMPT Corporation (hereinafter, “JAMPT”) as the first Japanese company to provide integrated services, from 3D printing of metal products using AM technology to product certification support for client companies. In addition to creating complex structures that could not be achieved with traditional manufacturing methods, it is expected that the use of AM technology will improve yield and reduce logistic costs by directly manufacturing products from metal powders. Sojitz will support JAMPT by promoting sales of its metal powders and metal products, and using our know-how as a general trading company to further expand its business. In autumn 2018, commercial operations will start in JAMPT’s new production plant, located in Tagajo City, Miyagi Prefecture, in an area recovering from the Great East Japan Earthquake. By collaborating with the local government and research institutions, we aim to become the leading company in the metal laminating industry and simultaneously contribute to the economic revitalization of disaster-hit areas.